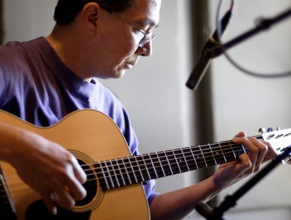 Ace is a professional San Francisco Bay Area guitarist and teacher who loves to share his passion for playing fingerstyle guitar. He plays a wide range of songs, from jazz to country and everything in between - mostly his own arrangements. Through the years, Ace has been mentored by some of the best guitarists like world-renowned Tuck Andress and Jim Nichols as well as Nashville guitarist Pete Huttlinger with whom he recorded his first CD “Coastin’”. Ace plays popular local venues, house concerts, and private functions on a regular basis. He has performed at different guitar gatherings such as the CAAS (Chet Atkins Appreciation Society) in Nashville, Healdsburg Guitar Festival in No. California, NAMM (National Association of Music Merchants) in So. California, and others. Ace also teaches 1:1 advanced fingerstyle sessions at the Jam Brothers music shop in Walnut Creek, CA. Ace has contributed to the Collings Guitars Forum one-on-one and close-up interviews of different artists and other popular names in the acoustic guitar world such as Laurence Juber and Pete Huttlinger. These are available for reading on this site. Thank you for visiting the GuitarAce website. NEW: Check out the “How I Met Who?? ?” section. Famous people I ran into as I socialized in different music circles.